Eat broccoli to help with lyme symptoms! 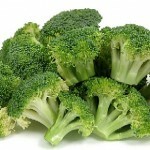 Posted July 13, 2012 Broccoli: A Nutritional Powerhouse. I eat it raw by the handful! Or I dip it in olive oil and balsamic vinegar. Great! Calcium. With approximately 60 milligrams per cup, broccoli is a great plant source for calcium, but this is important for more than just strong bones. Some studies have found that calcium might play a part in controlling high blood pressure and may help prevent certain types of cancer. Lyme and chronic disease sufferers need all the minerals they can get! 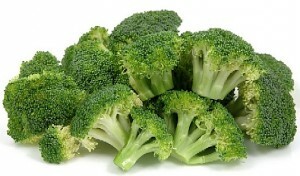 Vitamin C. Broccoli is loaded with Vitamin C. Just one cup contains 135 percent of your daily requirement. In fact, broccoli has the highest concentration of Vitamin C of all the cruciferous vegetables. Vitamin C is SO important for healing and your immune system. Also helps you absorb iron. Protein. Broccoli has four grams of protein per cup. That probably doesn’t seem like much, but look at it this way: calorie for calorie, broccoli contains more protein than steak. Best idea is to add a nice serving of broccoli to your grass fed, organic steak! To your good health!